At first glance, these first three photos seem unrelated. The first shows a woman standing with newly-arrived immigrants at Pier 21 in Halifax in 1935. 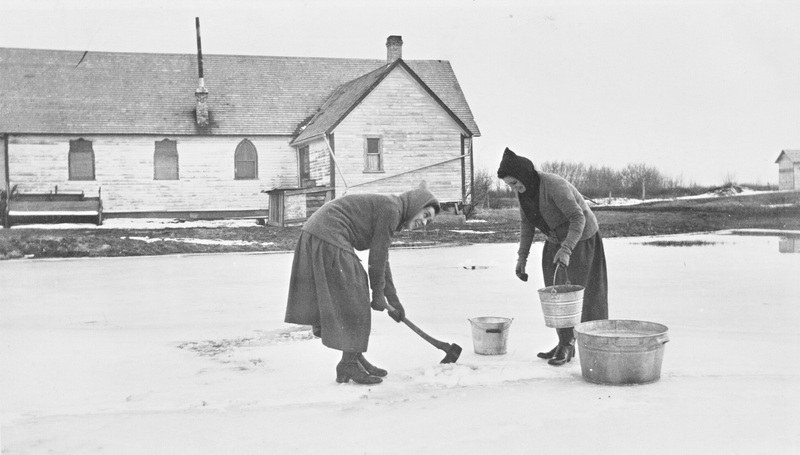 The second captures two women collecting water by chopping ice in Sinnett, rural Saskatchewan in 1942. 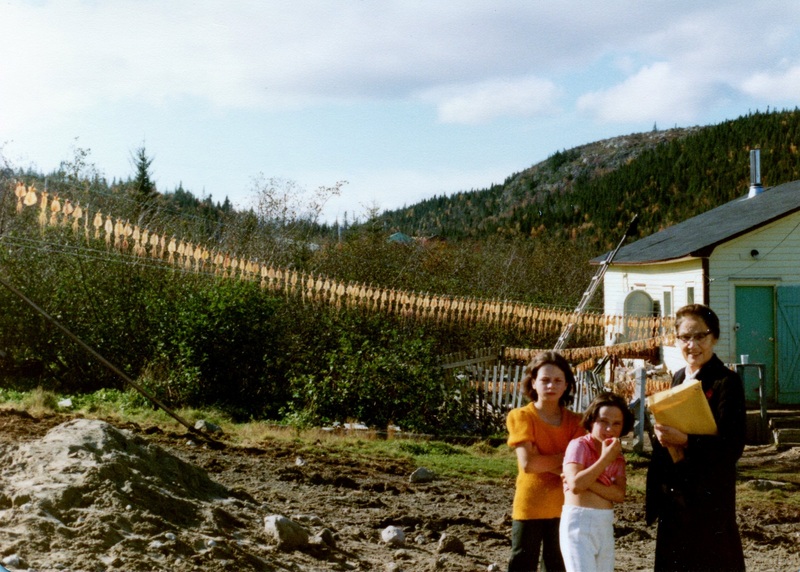 The third, from Bonavista Bay, Newfoundland in 1979, shows a woman and two children in front of a clothesline full of drying squid. They depict different people, times, contexts, and places in Canada. Yet, the commonality of these photos is its depiction of Sisters, women religious belonging to the Canadian Catholic community of the Institute of the Sisters of Service (SOS). While these photos are just a glimpse into the hearty work of the SOS, they are a lens through which we can explore the idea of a Living Archive exemplified by the Sisters of Service photograph collection. The SOS was founded in 1922 in Toronto in response to an influx of immigration. As an experienced professional teacher, the foundress Catherine Donnelly was inspired to go West to teach in rural and isolated settlements of Alberta. While significantly more can be said about the complexities of the SOS (my Postdoctoral Fellowship aims to do just this), the SOS charism (mission) was to help “the most abandoned” wherever there was a need and to help all people, not just those of Catholic faith. 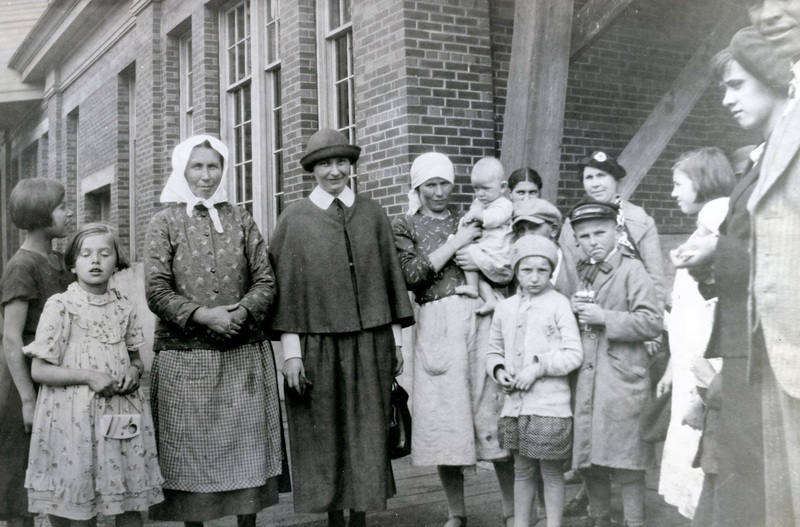 This approach and their motto of “I have come to serve” led the Sisters into the most remote areas of Canada to work as teachers, nurses, and later as social workers and other federally-employed professionals. In urban centres, they welcomed immigrants at ports of entry and established residences providing accommodation for immigrant women. The impact of their service and legacy is hugely disproportional to their small number of just 125 Sisters (fourteen of whom are still living). Through the Sisters’ simple uniform, mode of operation, and approach to religious life, the SOS challenged boundaries set for women both within the Catholic Church and the social and political landscape of Canada. 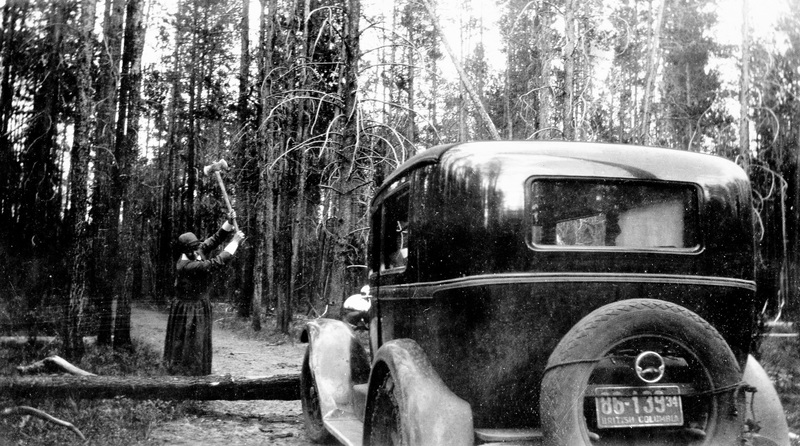 The image of Sister Catherine Donnelly chopping a fallen tree would not be seen from nuns or Sisters in Canada during the 1920s and 30s. They would not be in the B.C. mountains, let alone driving a car (!) or actually chopping a tree! The institute’s modern approach to its archives is no different. The SOS kept rich and varied records of their work providing a fascinating social and religious view of twentieth-century Canada. The variety and diversity of their activities over almost 100 years are reflected in the seventy meters of textual documents of correspondence, reports, statistics, annals/chronicles and publications as well as the personal sources of diaries and scrapbooks. Along with these documents, the archives also holds over 20,000 photographs. Recognising the value of the images and of applying contemporary technology, archivist M.C. Havey embarked on a photo digitisation project, selecting the most significant 8,000 photographs. Project Archivist Stacey N. Gilkinson has undertaken the technological aspect of digitisation. Thus, the photos become searchable by mission, Sisters’ names, identification number, etc. For posterity, Stacey is creating a detailed Finding Aid for the entire photograph collection to include 8,000 individual photos and 12,000 images in the photo album making it a user-friendly resource. The photos technologically preserve the Sisters’ history. Through digitisation, the project points towards the SOS’s current status as a community that has decided to gracefully close its doors. Being characteristically forward-thinking, the community is cognisant that they are aging (they are all seventy plus years old) and are using their archives to determine the future legacy of their community. The SOS photograph collection is an embodiment of a Living Archive. For me, this term refers to a perception of the archive as a place that is evolving, adapting to changing times, has a heart, and functions to serve people rather than as a document graveyard where mold is the only living organism. The archive, and particularly the photographic collection, is still living as the “remaining fourteen” are helping fill gaps in the archives by contributing their own photos (and documents) still in their personal possession. For instance, Sister Anna recently dropped off photos of her time in Northern Saskatchewan previously underrepresented visually in the archive. For historians, researchers, students, educators, and historical enthusiasts, the collection has unsuspecting potential. In the digital age, educators are seeking (or should be) ways to incorporate digital material into their lessons: online collections such as the British Library Colonial Copyright Collection and the William Notman Collection at the McCord Museum are valuable resources. For historians, we are not often left with such visual collections that are so broad and rich. The “visual turn” has inspired studies of imagery with early works on religious iconography. While sculptures, paintings, and other visual works reflect the artist’s vision, photographs reveal the photographer’s perspective and can also capture the agency of their subjects. While some SOS images are professionally taken group photos, many were taken by the Sisters themselves. 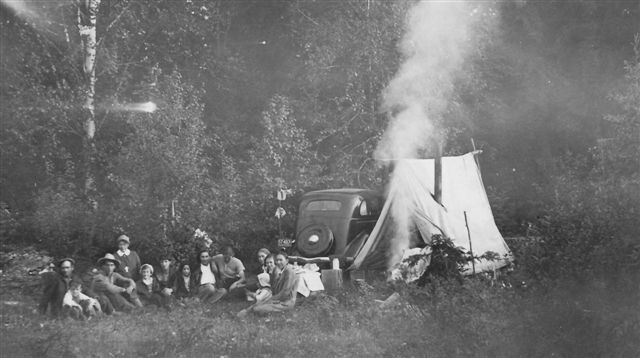 That the Sisters had access to a camera (even in extremely rural areas in the 20s and 30s) again reflects the uniqueness and modernity of the SOS community. The Sisters and the community placed value on capturing photographic evidence of their work, lives, and adventures. The Sisters used their own agency in taking the photos and in choosing what and who to capture and how to depict their service, the nation, and its peoples. The Sisters were evidently inspired by the people they met and often included them in their photos. As the community attracted women who wanted to serve as a Sister and experience an “adventurous, zealous” life, some of these photos were for commemorative purposes, while others were sent back to the Mother House as documentary evidence of their work that could be published in their magazine, The Field at Home. The SOS photograph archive serves as a lens through which we can access the physical landscape of twentieth-century Canada, but also the social and political climate, particularly as it pertains to immigration. However, it is but one example of all the richness that lies unexplored in photographic collections. After all, a picture really is worth a thousand words. Claire L. Halstead is a Postdoctoral Research Fellow at Saint Mary’s University and a contributing editor at ActiveHistory.ca.